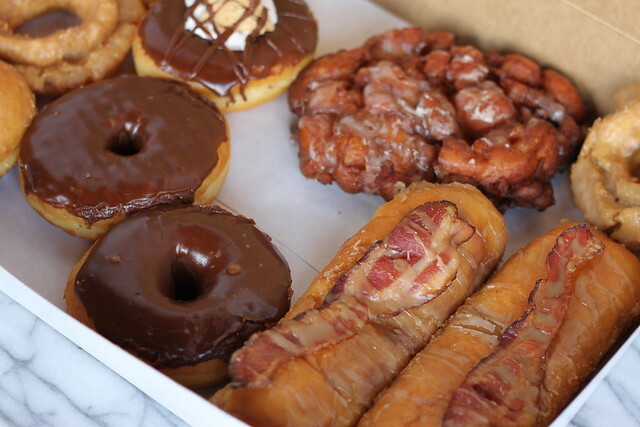 Here are some pictures of our favorite donuts. The last two photos are from our trip to Portland (Voodoo Donuts) and the first one is a fake Cronut (from Kettle Glazed). A beautiful donut that has pastry cream, croissant inside, cinnamon sugar and chocolate drizzle. 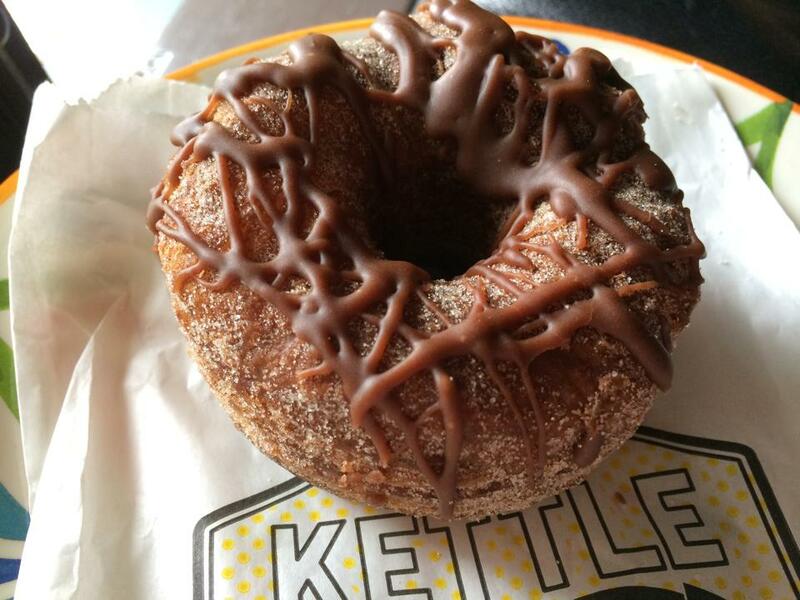 If you’re in Los Angeles, check out one of our favorites, Kettle Glazed. A little hole in the wall, with awesome donuts and a super friendly staff. 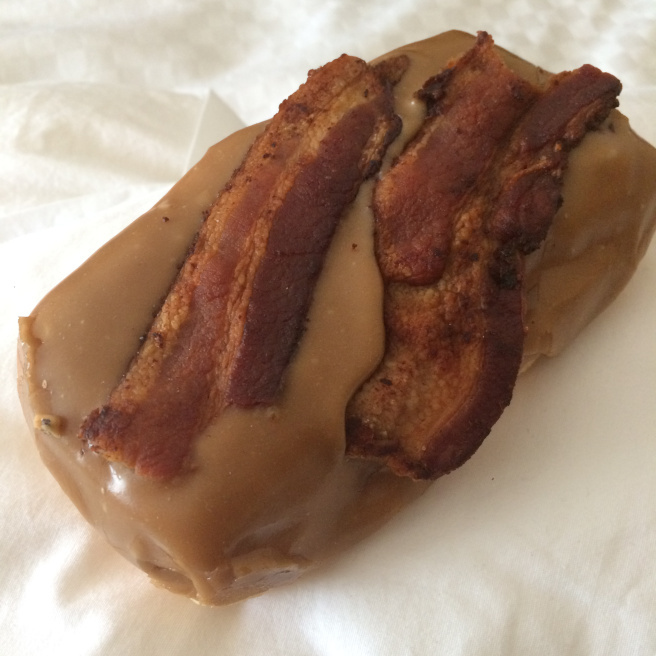 These two beauties are from Portland, Oregon from a beautiful shop called Voodoo Donut. If you haven’t heard of it, do yourself a favor and open a new tab, open youtube and search away. 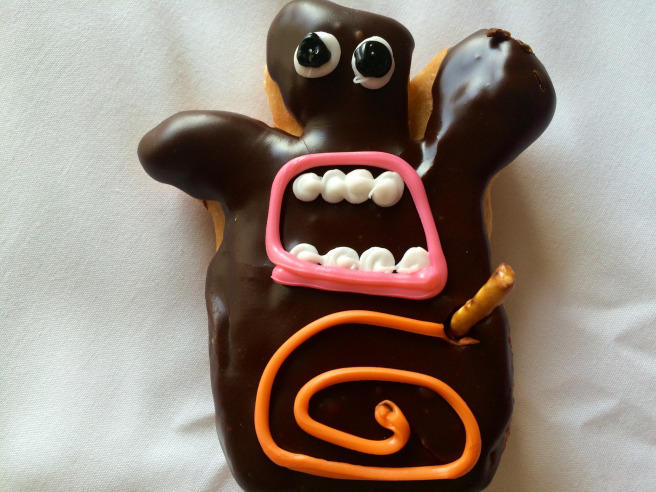 This little dude is there signature donut. A perfect morsel filled with a raspberry filling and covered in chocolate glaze. SO. GOOD. And this, this beauty. Bacon and maple. Need we say more? A pillowy cloud of goodness covered in a maple glaze topped with perfectly cooked bacon. WE LOVE DONUTS! And as we write this, we are making donut holes in on honor of this special day!